offers the perfect place for families, friends and couples who looking for a coastal adventure. New Quay, a town steeped in myth and legend by the famous late welsh poet Dylan Thomas, is best known for its narrow cobbled streets, fishing exploits, water sports activities and is considered as a typical family friendly seaside resort. The magnificent Heritage Coastline is a haven of natural beauty featuring 22 miles of spectacular coastline waiting to be explored, and home to resident bottlenose dolphins, grey seals and rare sea birds. Whatever your adventure you’ll be spoilt for choice when you visit this wonderful location. If you want to find out what other people have said about Ocean Heights Leisure Park, read the reviews on Ocean Heights Leisure Park for more information. And, for those last minute bargains, have a look at some of the special offers available at Ocean Heights Leisure Park. 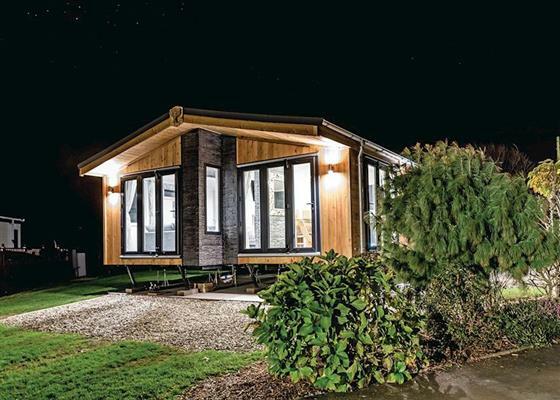 Modern and contemporary 16ft-lodge style holiday home with one double with ensuite bath with overhead shower and one twin. Bathroom with bath with overhead shower. Towels included. Open plan living area with well equipped kitchen. French doors leading onto verandah with garden furniture. No pets. Spacious and luxury lodge with one double with ensuite shower and one twin. Bathroom with bath with overhead shower. Towels included. Open living area with well equipped kitchen. French doors leading onto verandah with garden furniture. No pets. Spacious and modern 12ft-wide caravan with one double and one twin. Shower. Towels included. Verandah with garden furniture. No pets. Spacious and modern 12ft-wide caravan with one double and one twin. Shower. Towels included. Double glazed and centrally heated. Comfortable caravan with one double and two twin. Shower. 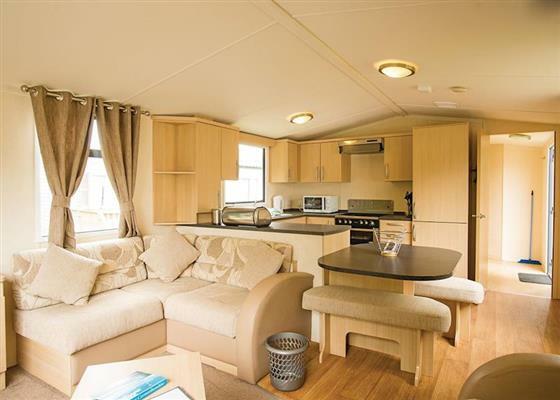 Spacious and well presented 12ft-wide caravan with one double and two twin. Shower. Verandah with garden furniture. No pets. Spacious and modern 12ft-wide caravan with one double and two twin. Shower. Towels included. Verandah with garden furniture. No pets. 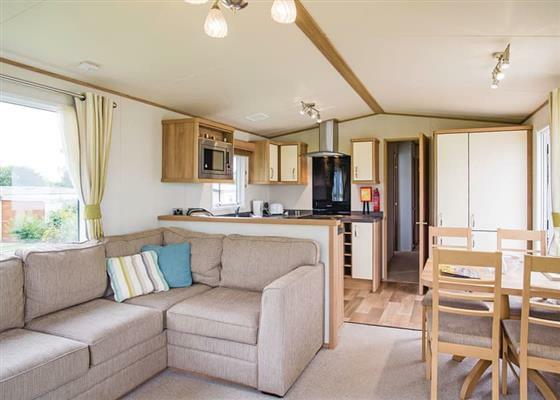 Spacious and modern 12ft-wide caravan with one double and two twin. Shower. Towels included. Double glazed and centrally heated. Spacious 12ft-wide caravan with one double and two twin. Shower. No pets. 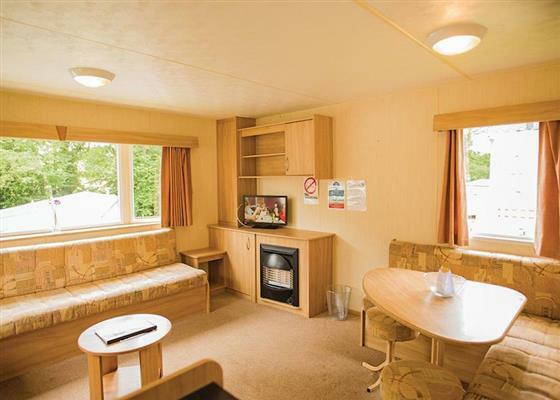 "Spacious and well presented 12ft-wide caravan with one double, one twin and one with bunks. Shower. No pets." 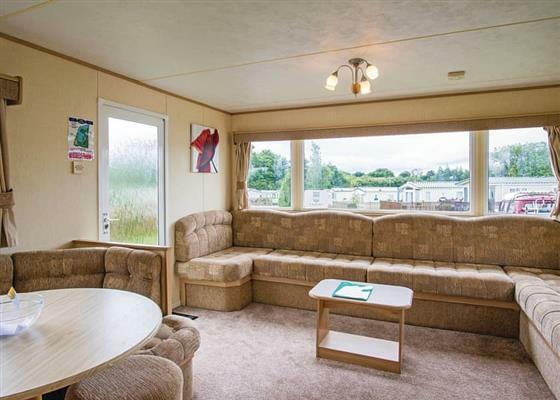 "Spacious and well presented 12ft-wide caravan with one double, one twin and one with bunks. Shower." Well presented 12ft-wide caravan with one double and two twin. Shower. "New in 2018. Spacious and luxury 20ft-lodge style holiday home with one double with TV/Freeview and ensuite shower, one twin and one with bunks and a single. Bathroom. Towels included. Open living area with well equipped kitchen. Dishwasher, fridge/freezer, washing machine, iron and ironing board. Double glazed and centrally heated. French doors leading onto verandah with garden furniture. Complimentary bottle of Prosecco on arrival. No pets." Find out about Ocean Heights Leisure Park, including prices and availability. There aren't currently any special offers at Ocean Heights Leisure Park however, the special offers shown below are all on parks within 30 miles of Ocean Heights Leisure Park - so you may find these useful. Holiday at Red Kite Gold in Dyfed starting on Saturday 27 April 2019 for 7 nights. 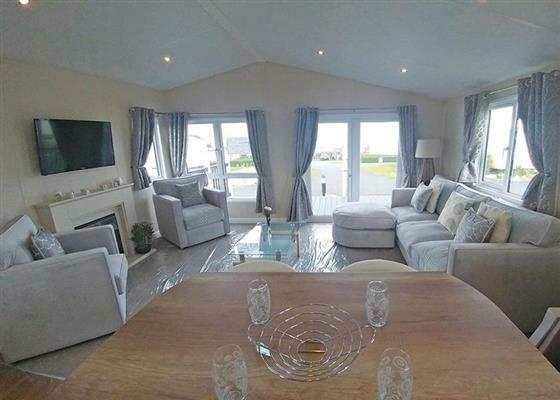 Holiday at Port Eynon in Dyfed starting on Saturday 27 April 2019 for 7 nights. Holiday at Caswell in Dyfed starting on Saturday 27 April 2019 for 7 nights. Holiday at Newgale in Dyfed starting on Saturday 27 April 2019 for 7 nights. Holiday at Newgale WF in Dyfed starting on Saturday 27 April 2019 for 7 nights. Holiday at Red Kite in Dyfed starting on Saturday 11 May 2019 for 7 nights. Holiday at Red Kite Gold in Dyfed starting on Saturday 11 May 2019 for 7 nights. Holiday at Red Kite in Dyfed starting on Saturday 18 May 2019 for 7 nights. Holiday at Quay West Deluxe 3 (Sat) in Dyfed starting on Saturday 25 May 2019 for 7 nights. Holiday at Quay West Deluxe 3 (Sat) in Dyfed starting on Saturday 01 June 2019 for 7 nights. Holiday at Quay West Deluxe 3 (Sat) in Dyfed starting on Saturday 08 June 2019 for 7 nights. Holiday at Quay West Prestige 3 (Sat) in Dyfed starting on Saturday 08 June 2019 for 7 nights. There are 40 holiday parks within 5 miles of Ocean Heights Leisure Park. Oaklands in Dolgellau, Gwynedd. 44 miles. The Smithy in Carew, Pembrokeshire, and sleeps 10 people. 39 miles. Bwythyn Glas Y Dorlan in Llandeilo, Dyfed. 27 miles. Fern Cottage in Whitland, Dyfed, and sleeps 6 people. 31 miles. Gwardolau Cottage in Rhayader, Powys, and sleeps 6 people. 36 miles. Maesoland Farm House in Laugharne, Dyfed, and sleeps 8 people. 28 miles. Llofft Allan in Ardudwy, Gwynedd, and sleeps 2 people. 43 miles. Little Newton Farm in Kilgetty, Pembrokeshire, and sleeps 12 people. 36 miles. Cefn Colwyn Barn in Caersws, Powys, and sleeps 4 people. 43 miles. Fron Rhydwen in Narberth, Pembrokeshire, and sleeps 6 people. 28 miles. Craig Y Rhos in Machynlleth, Powys, and sleeps 6 people. 36 miles. Llwyn Celyn in Newport, Dyfed. 24 miles. Bryn Refail in Pwllheli, Gwynedd, and sleeps 10 people. 48 miles. Waters Edge in Dale, Pembrokeshire, and sleeps 6 people. 48 miles. Hendre Barn Mawr in Abergynolwyn, Gwynedd, and sleeps 8 people. 35 miles. Coedfryn in Llandeilo, Dyfed, and sleeps 8 people. 26 miles. Maes-yr-Adwy in Abergorlech, Dyfed, and sleeps 8 people. 20 miles. Henllys Lodge in Llandovery, Carmarthenshire. 27 miles. Bwthyn Y Mynach in Carmarthen, Dyfed, and sleeps 8 people. 23 miles. Mews Cottage in Tenby, Pembrokeshire, and sleeps 8 people. 39 miles. Tirmyndd Farm Cottage in Swansea, and sleeps 9 people. 42 miles. Pottre Farmhouse in New Quay, Ceredigion, and sleeps 8 people. 0 miles. Glandwr Country House in Cardigan, Wales, and sleeps 12 people. 8 miles. Bedw Barn in Newtown, Powys, and sleeps 14 people. 49 miles. Murton Farm Cottage in Murton, West Glamorgan, and sleeps 6 people. 45 miles. Arosfa Emlyn in Newcastle Emlyn, Carmarthenshire. 12 miles. The Coach House in Lampeter, Wales, and sleeps 20 people. 14 miles. Porth Colmon Farmhouse in Pwllheli, Gwynedd, and sleeps 6 people. 48 miles. Llwyncadfor Farmhouse in Newcastle Emlyn, Wales, and sleeps 14 people. 10 miles. Glanyrafon Bungalow in Rhayader, Powys, and sleeps 6 people. 38 miles. Wendon in Pwllheli, Gwynedd. 46 miles. Ysgubor Wen in Llanelli, Dyfed, and sleeps 10 people. 35 miles. Llwyncrwn Farm Cottages in Llandysul, Carmarthenshire, and sleeps 2) people. 13 miles. Holly Farm Cottage in Llandrindod Wells, Brecon Beacons, and sleeps 6 people. 41 miles. 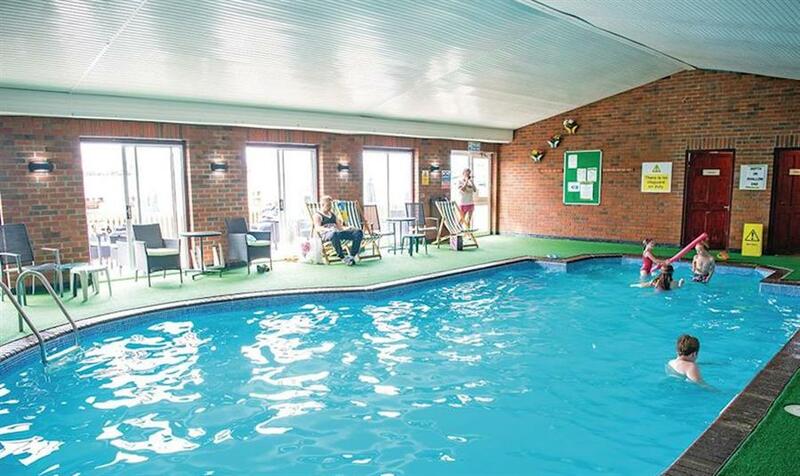 Dan-y-Glo in Swansea, West Glamorgan, and sleeps 10 people. 41 miles. Penlan House in Barmouth, Gwynedd, and sleeps 10 people. 38 miles. Tynrhyd Retreat in Aberystwyth, Ceredigion, and sleeps 28 people. 24 miles. Maes Rheidol in Aberystwyth, Dyfed, and sleeps 7 people. 22 miles. Sheepwalks Cottage in Tenby, Pembrokeshire, and sleeps 8 people. 40 miles. Kingfisher at Maesydderwen Holiday Cottages in Llandeilo, Brecon Beacons National Park, and sleeps 10 people. 28 miles. Pendine Manor in Laugharne, Carmarthenshire, and sleeps 20 people. 32 miles. White House in Tenby, Pembrokeshire, and sleeps 8 people. 39 miles. The Dingle in Freshwater East, Pembrokeshire, and sleeps 12 people. 44 miles. Trecift in Cardigan, Pembrokeshire, and sleeps 10 people. 14 miles. Clifton House in Tenby, Pembrokeshire, and sleeps 12 people. 39 miles. Bodrydd in Rhoshirwaun, Llyn Peninsula, and sleeps 14 people. 45 miles. Alexanderstone Manor in Brecon, Powys, and sleeps 12 people. 46 miles. St Brides Cottage in Saundersfoot, South Wales, and sleeps 6 people. 37 miles. Devil's Bridge Retreat in Aberystwyth, Cardiganshire, and sleeps 28 people. 24 miles. The Gower Beach Loft in Three Cliffs Bay, Gower Peninsula, and sleeps 10 people. 44 miles. Bay View House in Saundersfoot, Pembrokeshire, and sleeps 10 people. 37 miles.